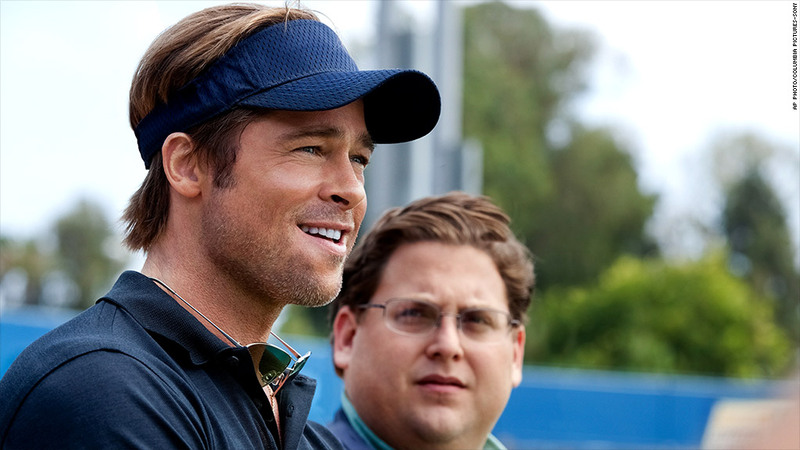 The work of financial journalists isn't usually movie material -- unless you're Michael Lewis. Paramount Pictures and Brad Pitt's Plan B production company are teaming up to make Lewis' book "The Big Short: Inside the Doomsday Machine" into a movie. In the non-fiction book, Lewis writes about the housing bubble and follows people who predicted it would burst. The book was published in 2010 and spent months on the New York Times bestseller list. "(He) has the amazing ability to take complex formulas and concepts and turn them into page turners," said Adam McKay in a statement. McKay will be adapting and directing the movie and is most recently known for co-writing, producing and directing "Anchorman 2." Lewis, a former Salomon Brothers bond salesman, penned "Moneyball" and "The Blind Side," which have both been made into movies. He is also the author of "Liar's Poker," a book based on his experiences on Wall Street in the 1980s.